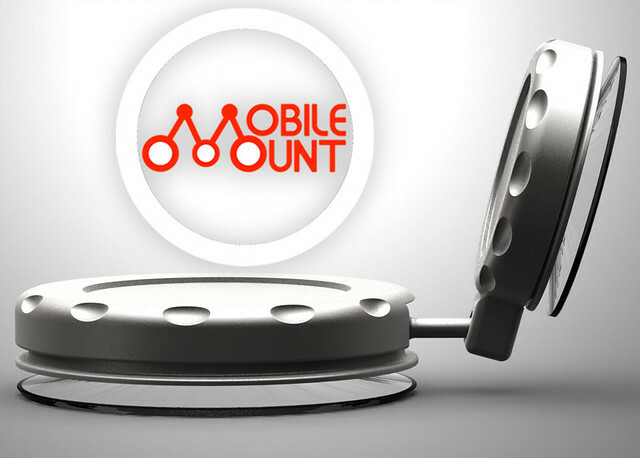 The MobileMount features two Twist-to-Lock suction cups and a ball and joint, making it the most adhesive double suction cup mount. 2,327 backers pledged $106,072 to help bring this project to life. The MobileMount is a universal mount/kickstand for virtually any hand held device with a flat surface, like smartphones and tablets. Comprised of two twist-to-lock suction cups and one ball joint, this device's unique design allows for superior suction and durability. The Twist-to-Lock suction cups can hold devices for weeks at a time rather than simply a few hours like other competing mounts. 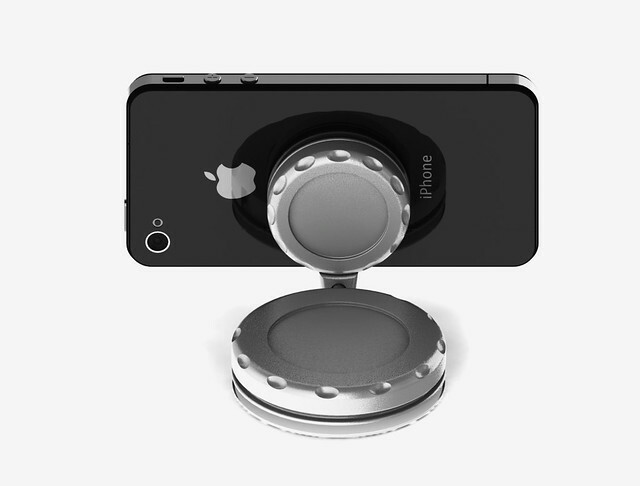 Additionally, the "Patent Pending" universal design allows for users to mount their phone without removing the case. 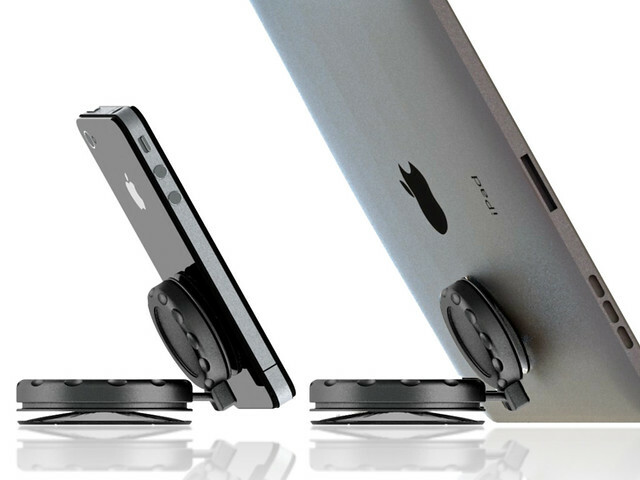 The two Twist-to-Lock suction cups are what make the MobileMount unique. The suction cups squeeze out the majority of the air when they are in the locked position. This creates a very strong vacuum between the suction cup and the device being mounted. Due to the Twist-to-Lock suction cups, the MobileMount is more reliable when compared to other double suction cup mounts. The ball and joint allow for free horizontal and vertical rotation, which allows you to angle your device according to your needs. This makes the MobileMount great for driving when you're using a GPS or hands-free calling. The MobileMount can even be used as a kickstand with heavier devices like tablets and e-readers. 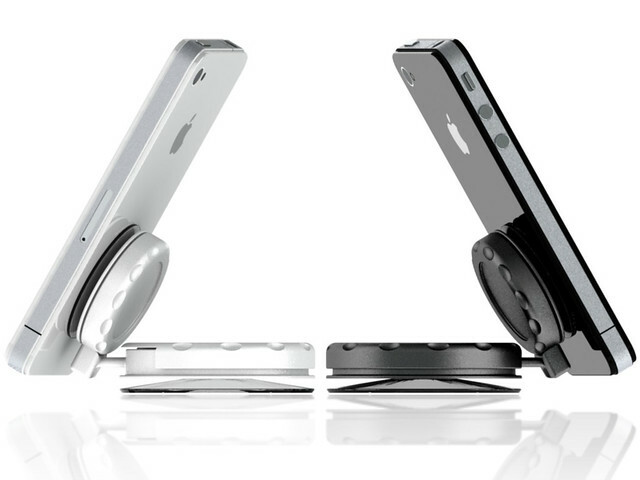 The universal design lets it transform into a kickstand for any device! Thank you for all of your support and contributions. The MobileMount would not be possible if it wasn't for a community like Kickstarter! CNN – "The MobileMount looks pretty cool!" 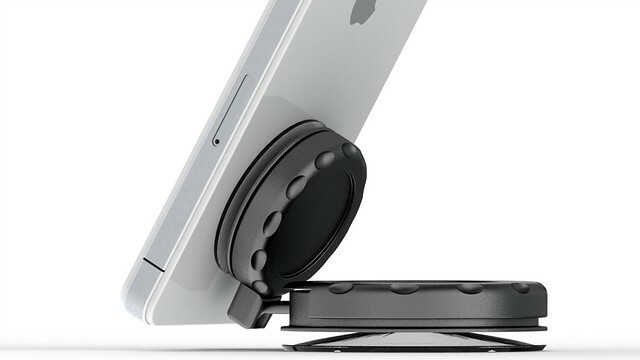 Gizmodo – "Like Rainbows, Double Suction Cups Mounts Are Just Better"
Cult of Mac – "We’ve come across some awesome Kickstarter projects for iOS device accessories, and the MobileMount is most certainly up there with the best of them!" The Loop – "This is the best looking idea for a mount I’ve seen"
iPad Creative – "the MobileMount looks like a great solution for those of us who use our iPads everywhere and anywhere"
Apple World – "the MobileMount is an amazing gadget"
Mac Magazine – "I was pleasantly surprised with the design of the MobileMount"
You will receive a first edition MobileMount in Black. You will also receive 4 vinyl circles in either white, black, or clear, (The vinyl circles will help the MobileMount stick to devices that have a matte finish). Shipping to Canada please add $10, International please add $15 to pledge amount. You will receive a MobileMount in Limited Edition White. You will also receive 4 vinyl circles in either white, black, or clear, (The vinyl circles will help the MobileMount stick to devices that have a matte finish). Shipping to Canada please add $10, International please add $15 to pledge amount. Mix N' Match! 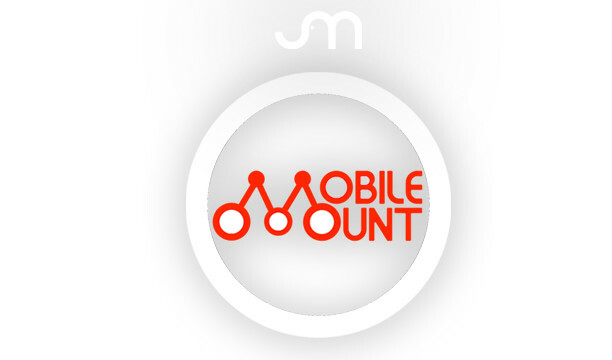 You will receive 2 MobileMounts, one in Black and the other in Limited Edition White. You will also receive 8 vinyl circles in either white, black, or clear, (The vinyl circles will help the MobileMount stick to devices that have a matte finish). Shipping to Canada please add $10, International please add $15 to pledge amount. You will receive 5 MobileMounts in the colors of your choice. You will also receive 20 vinyl circles in either white, black, or clear, (The vinyl circles will help the MobileMount stick to devices that have a matte finish). Shipping to Canada please add $10, International please add $15 to pledge amount. Ultimate Reseller for the MobileMount! You will receive 100 MobileMounts. (Please add $60 to pledge amount for shipping to Canada, please add $120 for International orders) Each MobileMount will include 4 Vinyl Circles.